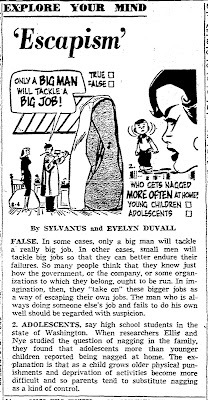 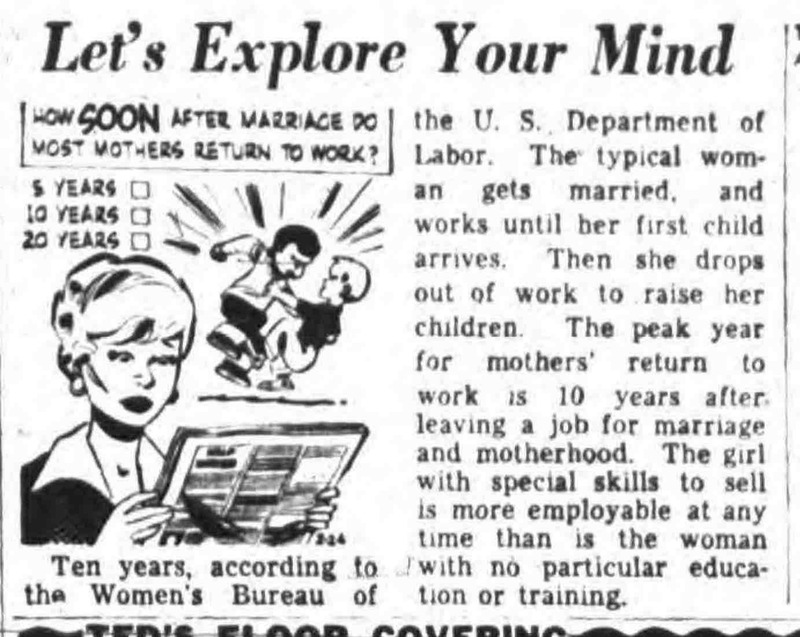 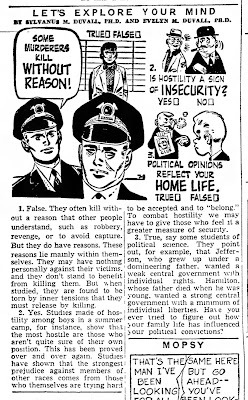 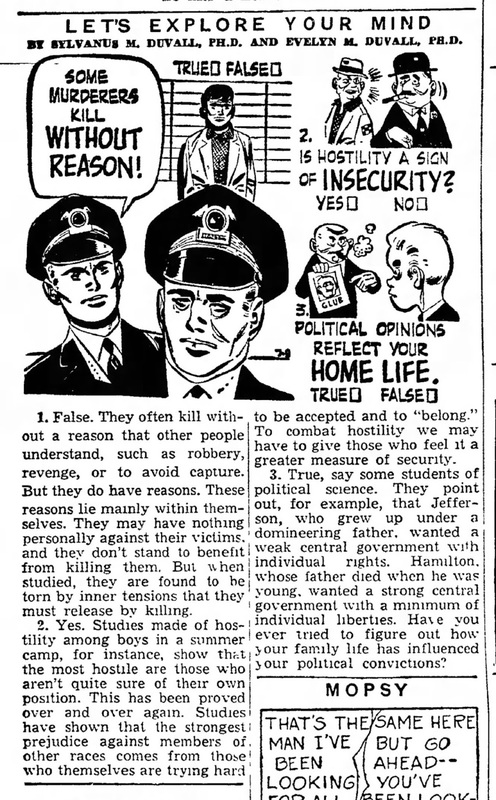 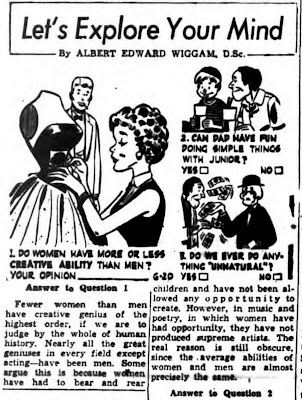 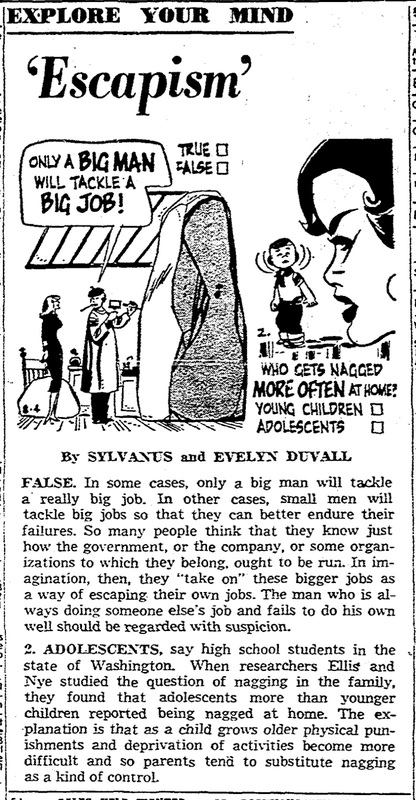 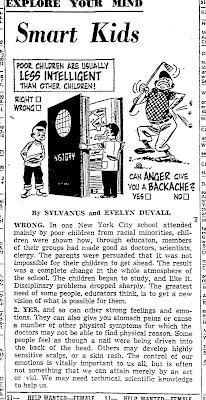 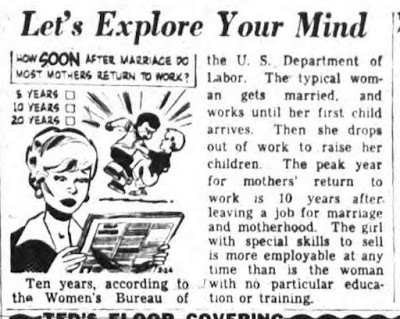 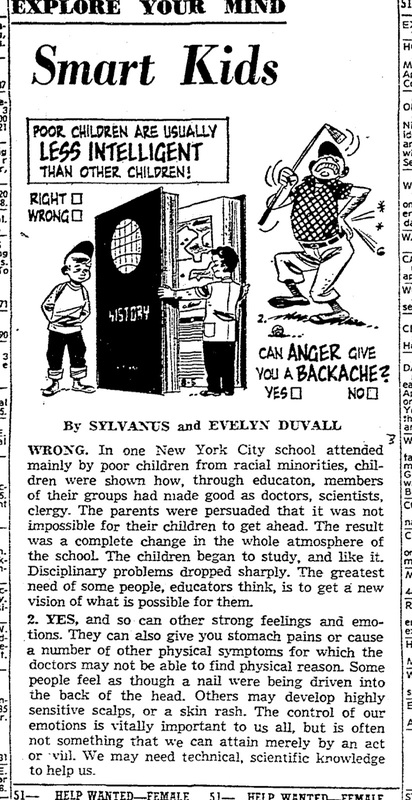 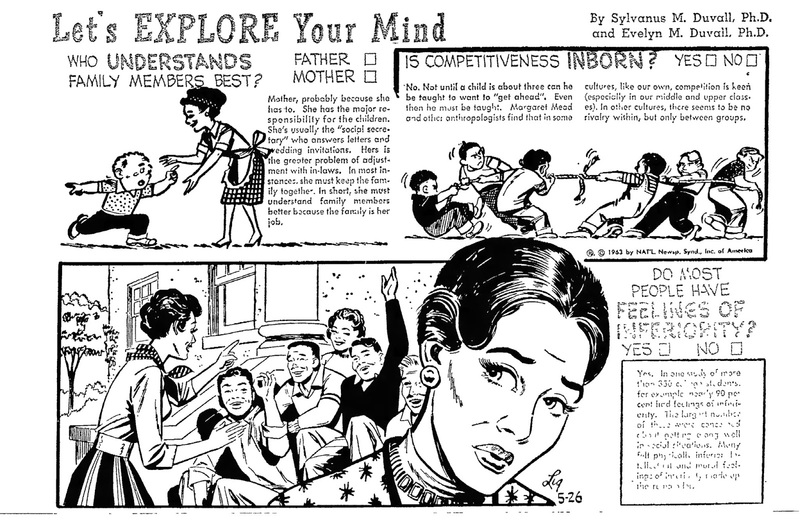 Ever since 'discovering' that the psychology advice column Explore Your Mind was illustrated by Richard Doxsee from 1954 to 1963, I have been clipping them left and right. 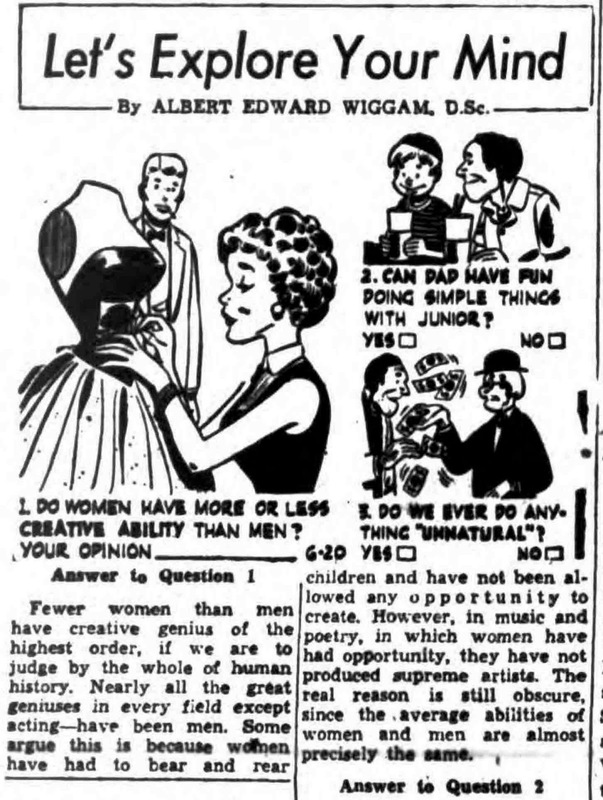 Not only did he do the Sunday version with several questions, there also was a daily version with one question a day. 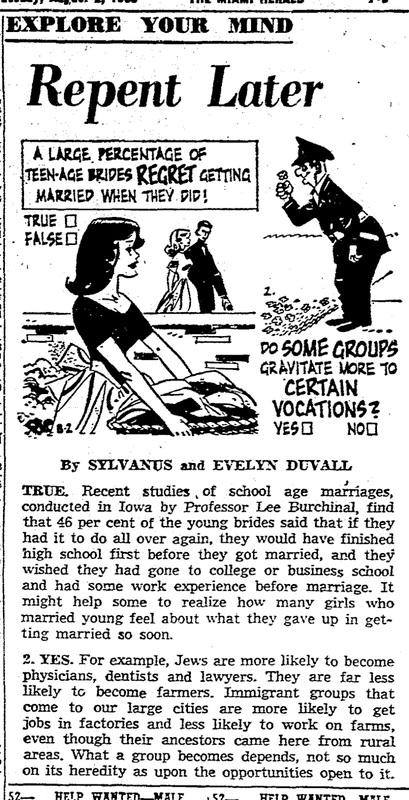 In the late fifties he combined this with his realistic work for Timely/Atlas. I recently found he did a couple of jobs for Prize's Young Romance (possibly with Joe Orlando) and of course he drew articles for Mad imitation magazines Zany and Cracked (as mentioned in my book Behaving Madly. 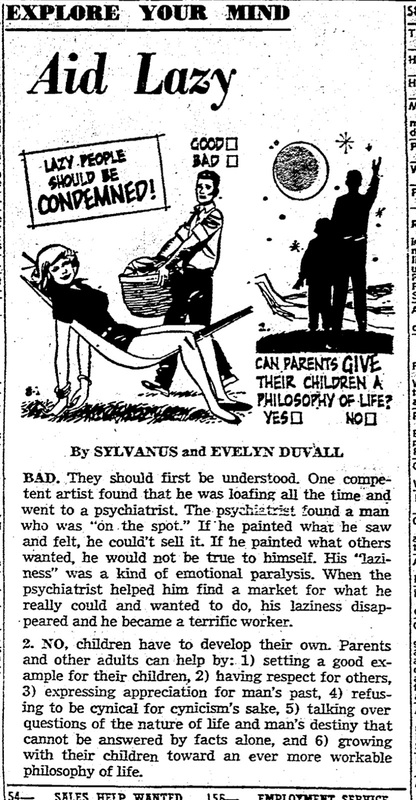 I am guessing he was still pretty young when he did that. 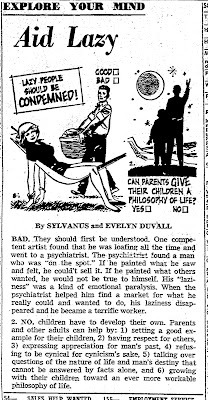 One of his family members contacted me and told me that he left comics around the same time he stopped doing this feature. 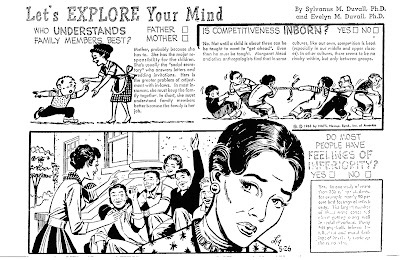 When he left, Bill Ligante took over on Explore Your Mind, by the way.